This Jordan Pond House Best Popover Recipe is sure to be a hit at your house. These popovers are known regionally as the best popovers in all of New England. If you’ve never tried a popover before, you’re in for a real treat! 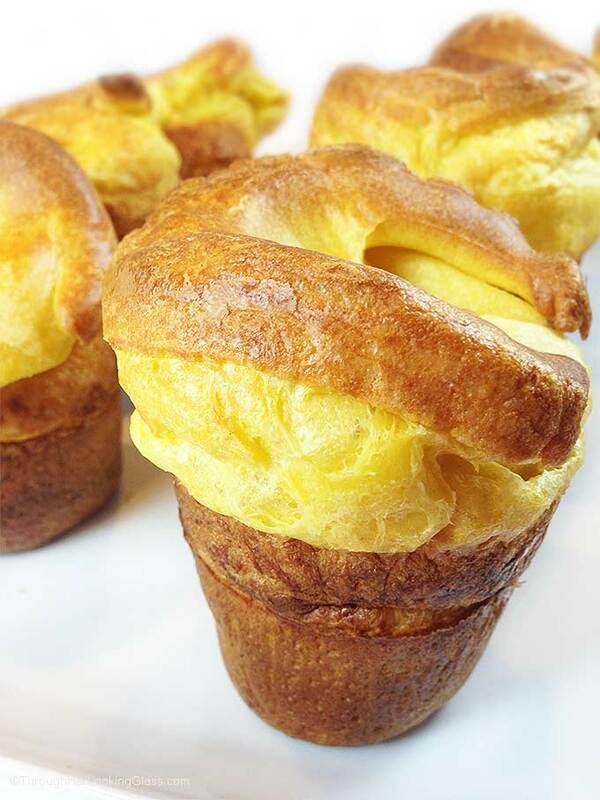 A popover is a light muffin made from a thin eggy batter, which rises to form a hollow shell when baked. That light and airy hollow shell is served hot, slathered with butter and strawberry jam. You can easily buy an expensive gourmet popover baking mix, but since there are only five ingredients, why not save the pesos and make your own? The taste is just as delicious and popovers are so easy to make. All you need is flour, milk, eggs, salt and a speck of baking soda. It’s the technique for making them that’s so important: lots of beating with your electric hand mixer. And absolutely no opening the oven door and peeking! The recipe below gives detailed instructions. 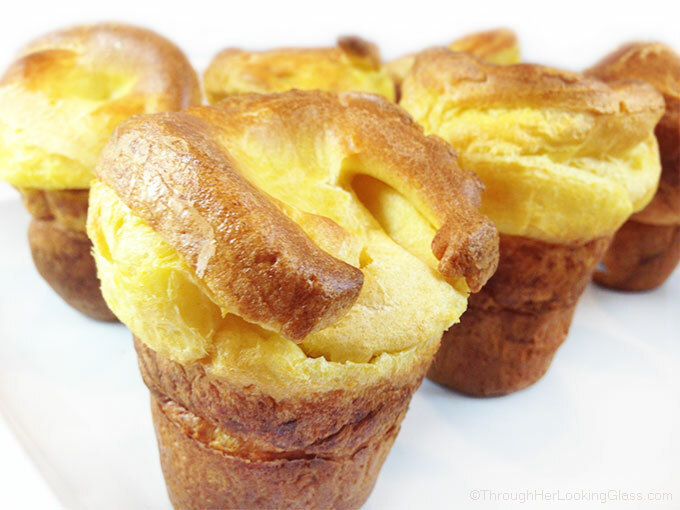 Popovers are baked in a well-greased popover pan or muffin tin. 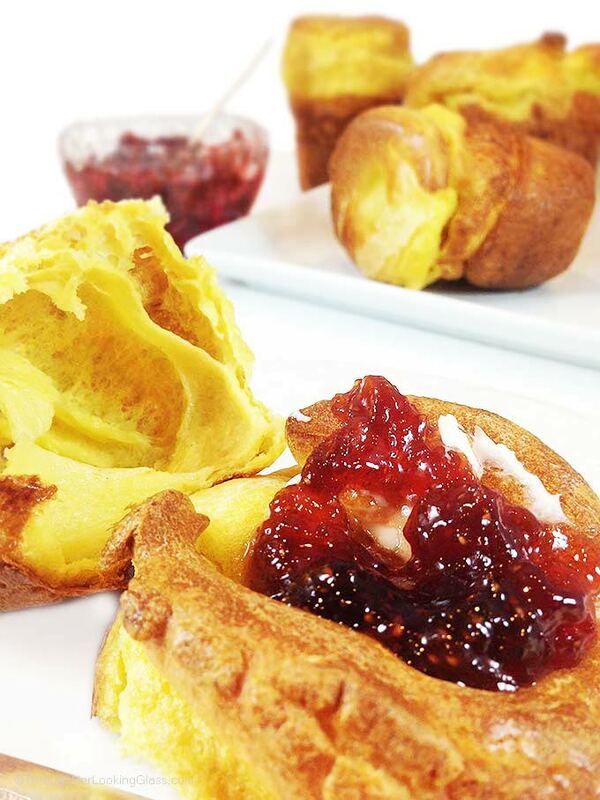 Popovers are traditionally served warm or hot with butter and strawberry jam. If you’ve ever visited the Acadia National Park in Bar Harbor, Maine, you likely know about the Jordan Pond House, a lovely tea house on Park Loop Road in the park. “The dining traditions of Jordan Pond House date back to the late 1800’s. During that era teahouses were established to cater to the growing number of sophisticated summer visitors. Jon and I visited Acadia National Park and the The Jordan Pond House seven summers ago when we spent a romantic long weekend in Bar Harbor, ME celebrating our anniversary. We stayed at the Primrose Inn in Bar Harbor, a gorgeous 1878 Victorian era bed & breakfast. 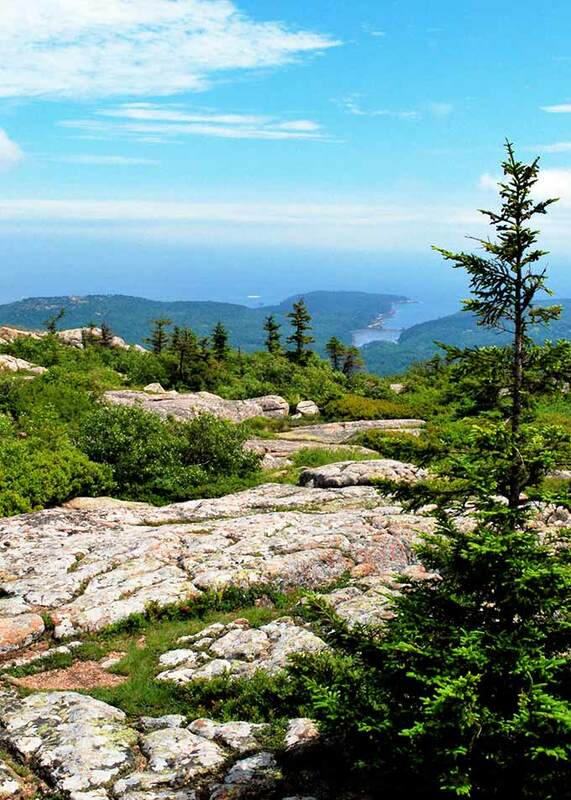 Acadia National Park is such a stunning park, beautiful trails, mountain vistas and incredible views. On our way home from the long weekend, we stopped at The Jordan Pond House for popovers and a glass of iced tea. They serve afternoon tea with popovers every day from 11:30-5:30. We’d heard about the popovers over the weekend. And after savoring one, we “popped” into the gift shop to buy a popover pan that included the famous Jordan Pond House Best Popover Recipe. These popovers are known regionally as the best popovers in New England, and they’re not hard to make. Just follow the easy directions below from The Story of Jordan Pond, published by the Acadia Corporation. Best popover recipe in all of New England. Light and airy. Traditionally served hot with butter and jam. Sift and measure flour, salt and soda. Set aside. Beat the eggs at high speed until lemon colored (2-3 minutes). On slowest speed, very slowly 1/2 cup of the milk. Beat until well mixed. Add slowly (with mixer going on slow speed) the dry ingredients. Scrape sides of the bowl with a spatula. Beat at medium speed and slowly add the remaining milk. Place well-greased muffin tin or popover pan into oven to warm up for five minutes. Turn mixer to high speed and beat 5-7 minutes. Batter should be smooth and about the thickness of heavy cream. 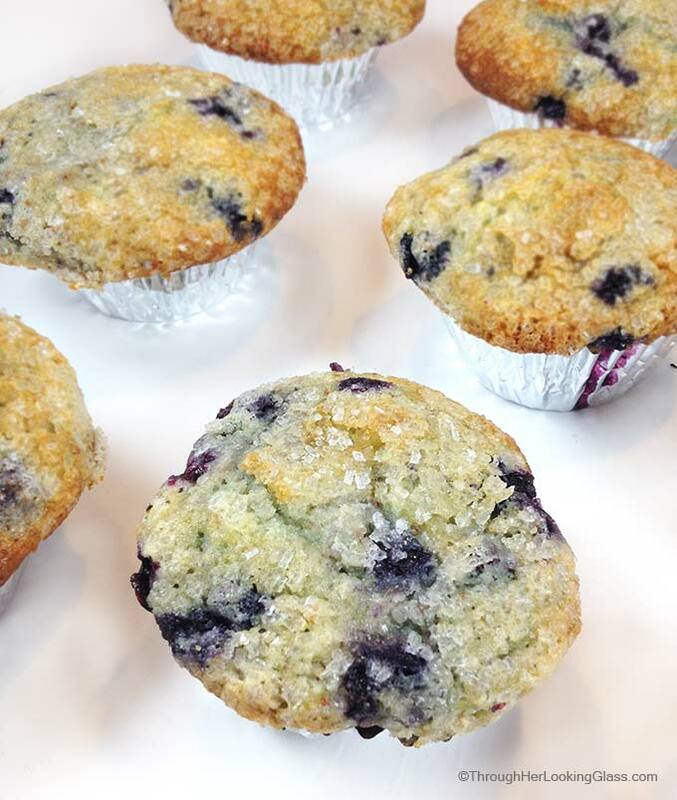 Pour batter through a strainer, and into well-greased, preheated muffin tins or popover pan. Bake on the middle shelf of the preheated oven at 425° for the first 15 minutes. Without opening the oven, reduce the temperature to 350° and bake 15 - 20 minutes longer. Popovers are best served at once, but may be kept in the warm oven for up to five minutes. Serve immediately with butter and strawberry jam. I believe I will make popovers this weekend! I had a delightful professor at Clemson who shared his popover recipe with his students. So back in "The Easley Days" I used to make them often! Hope you do Tina. I think I remember those popovers! I used to make popovers a lot and then I didn't for a while. Then Charlie asked me a few weeks ago if I was EVER going to make popovers again. Yum! My family loves popovers. I will most definitely try this recipe the next time I make popovers. It seems I can already smell them! 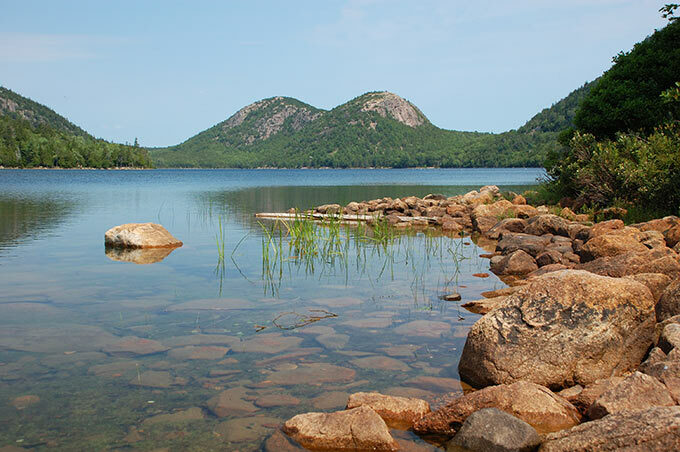 Acadia is on my list of places I would love to visit! Your pictures are beautiful -- and those popovers look absolutely wonderful! Love popovers and haven't made them in years! Can't wait to make 'em! These popovers look divine. They are on my bucket list to make! With a nice cup-a-tea, I can't wait! Popovers..... I have never tried making them. Probably because they are a little tricky. You make them look and sound easy! I Love them so I will give them a whirl! Yum!! These look so delicious. And now I'm tempted to look into a Bar Harbor trip instead of Old Quebec...decisions, decisions! Popovers with butter and jam??? Never tried it. Each time I did have them in Scotland or England they were served with mashed potatoe, turkey and gravy. I need to try this new "accompagnement"! I had not heard of that Daniella, that must be the European way. Savory and delicious. I've also heard of stuffing them with ice cream! Actually in England we call them Yorkshire Puddings and we pour gravy over them. Delicious with a nice roast beef or chicken dinner. Thank you for all the recipes. I came here purely for this comment Yorkshire puddings are traditional and the best part of sunday lunch / xmas dinner or alternatively cook with sausage for a nice toad in the hole. Gravey is essential yum ! My mom talks about these popovers all the time. Thanks for sharing the recipe. I live in Maine, not too far from Acadia, so we head there often in the warm months -- love it so much! I love popovers! Yours are so beautiful…almost too good to eat! Alie, I have only ever had popovers once and they were from a bakery. I never have made my own - and I'm wondering why not as you make them seem to easy to whip up - yet, they look absolutely exquisite! I love your suggestion of eating these with jam - but - eating these with ice cream sounds swoonworthy! Here's hoping you and Jon get to redo y'alls anniversary getaway from 7 summers ago - and you can share that homemade ice cream here after? :) Happy Wednesday my sweet friend! Hope alls well with ya! WHOA those are the coolest!!!! I LOVE THEM! And I want to slam my face into them! lol! Yummy! I never had popovers but they definitely look like something I would love! LOVE,LOVE, LOVE popovers. My late mother made these for thanksgiving morning once when I was a little girl and they have been a family tradition for Thanksgiving and Christmas morning ever since. Now that she is gone we make due with strawberry jam, no more of mom's prickly pear jam. ( my sister in law made a good batch, though). We always use a blender to mix these, never strain them. Most important step we have found is grease your muffin or popover tins and HEAT THEM. They pop up best when the tins are hot! Brenda - thank you SO much for dropping by and for this great tip about heating the pan first. Now that I think of it, I'm sure I heard this somewhere before but I had completely forgotten. So I'm definitely going to do this the next time I make popovers. And I'll have to try whipping them up in the blender too. Thanks for all the great tips and happy baking!!! This looks amazingly good. My family cherishes popovers. I will most certainly attempt this formula whenever I make popovers. It appears I can as of now notice them.thanks for share. I have been making popovers for years. They were always temperamental little morsels. One time perfect the next time no rise. I have fought and lost the popover battle so many times. Tonight I tried your recipe. 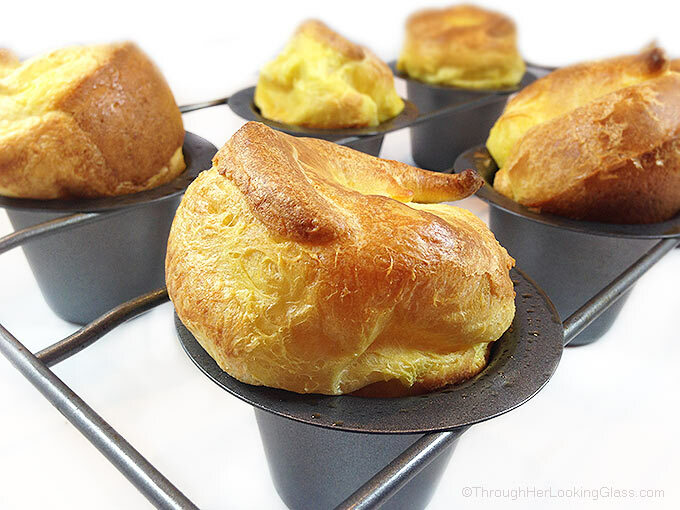 The bossyman proclaimed these the most perfect popovers ever!!! I will only use this recipe from now on. Thank you!! Hey Penny - I'm so glad they were a hit and bossyman was happy. Score! A reader reminded me of a tip I had forgotten. If you grease the pan, then heat it up, then add your batter, you get the biggest pop. I've heard it time and again but I still haven't tried it yet. Thanks so much for dropping by! I too know of this trick and it does make a difference. I will try it when I next make your recipe - probably next week!. Looks great! How high do you fill each cup with batter? Hey Lauren, I would say I filled the cups to about half-way in my popover pan. Once I got some in all the cups, I used my cookie dough scoop to move some of the batter around, make sure they were all pretty even. Thanks for dropping by, hope you get to try this recipe! One key in making great popovers that is not mentioned in this recipe is that the ingredients should be at least room temperature. I actually warm my milk slightly. This insures the popovers rise quickly. Also I heat the pan with melted butter or bacon drippings before adding batter. Hey Alyson, thanks for these great tips, I will def. try them both for an even bigger pop! Another reader also mentioned heating up the pan ahead of time, and so I am going to try that too and update the recipe for sure. Thanks so much for dropping by! I make popovers all the time, another idea for you is adding 1/2 tea. of dijon mustard to the batter then pour into cups. Drop 3-4 small dices of gruyere chesse and bake. When they are hot out of the oven top with additional finely grated gruyere cheese. I have also made them with reggiano parmesan cheese. If you make mini ones (using a mini muffn tin) they are great appetizers with a glass of wine. I have also made them with fne herbs such as finely chopped chives, parsley, rosemary, marjoram and even lavender. The herb ones are good split open and topped with scambled eggs with a bit of boursin cheese added into the egs. When you think about it the options are endless. Thanks so much Barbara. I've gotten several e-mails from those in England saying these ARE Yorkshire puddings. So I'm not sure. I am so curious if they will work out gluten-free, please comment back if you try them gluten-free and let me know how it worked. I don't know why it wouldn't, as it's the beaten eggs that gives the big rise. I know gluten-free baking can be tricky. I've had success and failure! Happy baking! Great to hear from you Marilyn and I'm so glad they turned out perfectly for you. My husband's parents are British too and I need to make these popovers for them, I know they'd love them. Hey Aly - this sounds incredible - gruyere is one of my favorites - I've got to try this. Better have friends on hand or I might eat the whole batch! Thanks for dropping by and all this great info. - can't wait to try your variation -- THANK YOU!!! Allie, I have fond memories of a prime rib restaurant with the best popovers. These look so good and easy--I think a popover pan is in my future. Thanks! My father loved the popovers at JP. He got the recipe, I know not how, and passed it on to me. I had to double check his recipe as it left off a critical quantity. He used to say about your popovers that they were God's way of conveying butter to your mouth." Bill Spencer, Jr. I love that Bill: God's way of conveying butter to my mouth! I would only add, God's BEST way of conveying butter to my mouth. Ha ha. Thanks so much for dropping by! I just followed this recipe exactly and mine turned out fairly flat. I preheated the pans as well...not sure if I'm doing something wrong or what the deal is. I do have a convection oven which regulates temp to 25 degrees lower than temp called for. I used regular muffin tins but have read that it shouldn't matter. This is my 2nd failed popover attempt. Would the convection oven have any impact? Any suggestions? Hey Jamie - boy, I hate to hear yours were not a success. I have heard that a popover pan is essential because basically the thin batter climbs the tall sides as it bakes - causing the big rise. But I have never tried them in a muffin tin so I can't say that from experience. A tip I have heard several times - but have not yet tried myself - is greasing and heating the popover pan first, then filling with batter. I did not do this in the popovers photographed here, but have read that tip in several different places. The convection oven may or may not have an effect, I'm not sure. I have a convection oven myself but I did not bake them on the convection setting, just bake. I'm guessing you are baking these at a regular altitude? Maybe you could try them in a popover tin - that might be the key. I wish you all the best and thanks for dropping by. What is the purpose of straining the batter before filling the popover pan? Hi Paula - It makes the batter extra smooth and removes those little white gelatinous "pieces" - not sure what they are called - that are found in the white of eggs. Makes for a very smooth batter. I'm sure you could get away with not doing it- but the Jordan Pond House recipe calls for it, so I always do - and there are always little pieces that show up in the strainer. Hope you try these! I grew up spending summers in Acadia. We would hike the trails and make it a point to end up at Jordan Pond House for tea and popovers...and ice cream! (Their ice cream is amazing!!) During my college years, I actually worked there. I thoroughly enjoyed reading about your success in making popovers at home. Thank you for taking the time to post this. 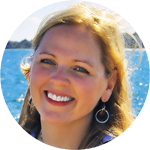 Hi Caroline - I loved hearing from you. I've never had their ice cream. A good excuse to go back now. Loved hearing of your good memories at Acadia and Jordan Pond House, and that you actually worked there. So cool. Have a wonderful Christmas and so glad you dropped by! Allie, these sound wonderful! However, how much is a "speck" of baking soda? Good question Karen, I have wondered that myself. That is the wording from Jordan Pond House. I made a batch this morning. I always put in a couple of pinches between my thumb and finger and that has had good results! Happy baking! These are called Yorkshire Puddings in the UK and are traditionally served with a roast dinner. We don't use baking soda but otherwise exactly the same. YES!!! My in-laws are from the UK - Kent and Liverpool. They love Yorkshire pudding and toad-in-the-hole. Thanks for dropping by Pat! Love popovers and they really are easy to make! I am excited to try your recipe with my Super Bowl Beef Stew! Popovers go wonderfully with the gravy if the stew, or some wonderful honey butter! Yum! Also, it’s a must to heat the popover pan to Hot! Thanks for the recipe! Love to try new ones out! Thanks Kathy - I was going to make a beef stew for the Super Bowl today too and I didn't get going quite early enough to make it happen. Hope yours was great and you get a chance to try these popovers. Have a great week! Hey Mike - that's super to know. Thanks for sharing and the great directions! I will def. try your version, sounds like it's a huge timesaver. I'm in the middle of a big kitchen remodel right now - my kitchen is empty - no cabinets, sink, stove etc. The contractors arrive tomorrow, so hoping it won't be more than a few weeks. And then I'll def. try your version - can't wait, thanks so much! Have a great weekend! Good luck. I started using the blender because the mixer was broke. It's fast and you can pour right from the blender into the popover tins. THIS is why I love reading the comments! I will definitely try this with my Ninja blender cup! My husband and youngest son have never experienced the pure bliss of a true popover, and I don't know when I'll get them up to Bar Harbor for the real deal (the popovers at The Common Good in Southwest Harbor are also amazing, by the way). I guess it's time to order a popover pan! I was just looking for pretty much this exact recipe the other day! Thank you for posting!! Ok, made them today for first try. Followed directions , but ended up with a gummy dense flop. Issues I had: didn’t know what a speck of baking soda was, my bling soda was too old I think. Only had muffin tins which I filled to brim. I sifted the flour, they barely rose. Will go out and buy popover Pan, new baking soda, fresh jam and start anew. I have at least overcome the fear of starting, now I’m challenging myself to improve. Have enjoyed them atJordan’s pond, so good. Mine—-not so much. Tried to make for first time. Have actually enjoyed the real thing at Jordan Pond. Did not enjoy my dense, mess. I had several issues that may have caused my failure. Had regular muffin pan, baking soda Was too old. No idea how much a speck is. Used 1/4tsp. Did the sifting, did the beating, followed instructions. I filled the muffin tins to brim, that might be another issue. They were not light and fluffy, they had consistence of something that was too dense, heavy, I’m sure I will try again, at least I have conquered the fear of failure, I’m going for success the next time. Hey Anne - hated to hear that. I do think the muffin pan is an issue. The batter needs to be able to climb the higher walls of the popover pan to get that big rise and air in the center. A speck is just a little tiny pinch. I had to look that up myself. I'm sorry you didn't have success, so disappointing. This is the original recipe from Jordan Pond House I have listed here. It's the recipe that came with my popover pan that I bought there. I had a reader recently comment here that he used his blender to do all the mixing and they come out perfectly every time. We were recently in the middle of a kitchen reno. and I've not yet had time to try out his suggestions. Hoping to do that very soon, and then I'll comment back here to you. That may be the way to go. Just blending it in the blender. I need to try it myself so I can say from experience that it works. I actually made a batch of these a few months ago and followed instructions exactly and I didn't get the high rise that I did with my first batch, which are pictured here. Which tells me that popovers can be finicky. You can do everything right and still have issues. So frustrating, but don't give up!!! Thanks so much for dropping by. I practiced this recipe last night because I’m making them with my rib roast dinner on Christmas. II need to add an herb to brighten them up so I’m thinking rosemary (which I detest), chives or maybe some cayenne pepper. Any other suggestions? Hi Jean - I have not made these with fresh herbs. But another reader here left some tips on a comment a while back about what she does, and you may be interested. Here are Aly's ideas: "another idea for you is adding 1/2 tea. of dijon mustard to the batter then pour into cups. Drop 3-4 small dices of gruyere cheese and bake. When they are hot out of the oven top with additional finely grated gruyere cheese. I have also made them with reggiano parmesan cheese. If you make mini ones (using a mini muffin tin) they are great appetizers with a glass of wine. I have also made them with herbs such as finely chopped chives, parsley, rosemary, marjoram and even lavender." Hope this helps and have a great weekend! If I’m making a recipe that takes this long, I would appreciate real measurements especially for baking soda... what is a SPECK??! Hi Simon - thanks for dropping by! The recipe published here is the original recipe from the Jordan Pond House in Acadia National Park, as mentioned. My best guess as to what they mean by a speck, is a very tiny amount, just a speck!!! I pinched a tiny amount with my thumb and forefinger and it worked great. Happy baking! I was born in Bar Harbor in 1941 when it was quiet loved the Jordan pond house and Yorkshire pudding and there Blue Berry Pancakes and Muffins , I now live in Texas and miss the old Bar Harbor and the Jordan Pond House. Thank you Robert, super to hear from you. I can imagine Bar Harbor was different in 1941. My dad was born in South Portland in 1939. Maine is a very special place! I'm so glad you dropped by and were reminded of good memories in Bar Harbor and the Jordan Pond House. It's frustrating when people comment (based on a yummy photo) how great they think the recipe is going to be. And putting "Best" in the title is completely overdone. I should have scrolled WAY down to find someone who had actually tried this recipe. After following the directions exactly (I translated speck as a pinch on the baking soda), the results were ridiculously dense, despite filling the popover pans to the half way point (as I usually do), they barely rose. The texture was like bread, not at all like popovers are supposed to be. There is absolutely no need to beat the living heck out of this batter. Anyway, I'd give this one a pass. Hi Isabel - I'm so glad you dropped by and let me know about your popovers and I'm so sorry to hear they didn't come out well. I know how frustrating that can be. Definitely a popover should be light and airy, not dense or cake like. Mine have always come out light and airy with big air pockets. The recipe posted here is the original recipe from the Jordan Pond House in Acadia - they gave it to me when I visited last. The popovers pictured here were made by me using this recipe. There could be other factors that contribute to the rise of a popover. Did you heat up the pan first? That can help with the rise. I too translated the speck as a pinch for the baking soda. Wishing you all the best in your search for the perfect popover - I do appreciate the feedback, thank you for taking the time to drop by.